I needed another red lipstick like I needed a hole in the head but when I saw the gorgeous rose gold packaging, coupled with the fact that I didn't own Ruby Woo, I had to get my hands on this. I ordered a few bits from the Riri Loves MAC collection on Brown Thomas and they were delivered the following day. I'm by no means a huge Rihanna fan- of her style or music or otherwise- but Ruby Woo was on my list anyway and by all accounts, and certainly as far as I can tell, they are one and the same. The formula is retro matte and I have found this to be extremely drying on the lips. 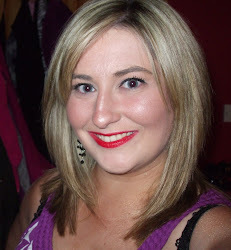 The plus side is that as far as showstopper red lips go, this is probably as good as you will get. Whilst it is a Retro Matte finish, I found that it applied easily enough and didn't drag or irritate my lips. I find it is best to apply with a lip brush for a really precise application. I have gotten about 8 hours wear out of this and even when I removed it, it still slightly stained my lips. My lips were extremely dry when I removed this and it took a day of moisturising to reboot them again so that is something you would need to bear in mind if you are thinking about purchasing this. It is still available on the Brown Thomas website if you are interested in purchasing it and it'll cost you €22. Wasn't sure about this either but it looks really well on you!! I am not sold on MAC yet (I don't own any MAC bits) and I don't like Riri at all so I wasn't even tempted! But Its great to hear it lasted to so long!